Japan is now probably the 4th largest feature producting nation in the world. That’s why we’ll be at Inter BEE again this November. FDTJ – Film and Digital Times Japanese language edition will be distributed from our booth and the booths of our sponsors. 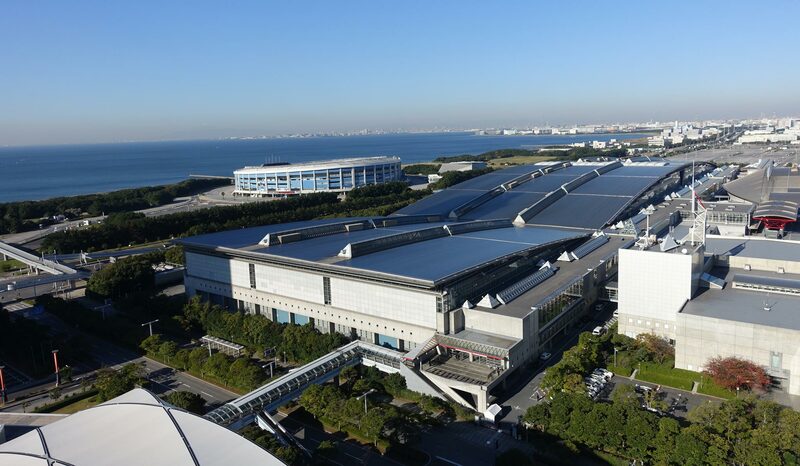 Inter BEE 2015 will be in Makuhari Messe over three days from November 18 (Wednesday) to 20 (Friday). It’s comparable to NAB or IBC, with around 35,000 – 40,000 attendees. Inter BEE began in 1965. It is organized by the Japan Electronics and Information Technology Industries Association. There are four exhibit categories: “Video and Broadcast Equipment,” “Professional Audio Equipment,” “Professional Lighting Equipment” and “ICT/Cross Media” (Information and Communication Technology). There has been an impression that it’s a Japan-only show. Not true. Many of the major foreign companies are there–and many executives attend: AJA, ARRI, Angenieux, RED, Blackmagic Design, Aaton-Digital/Transvideo, Preston Cinema Systems, Cooke Optics, Codex, ZEISS, Tiffen…to name a few. The exhibition is supported by the Ministry of Internal Affairs and Communications, the Ministry of Economy, Trade and Industry, the Japan Broadcasting Cooperation (NHK), the Japan Commercial Broadcasters Association and the Association of Radio Industries and Businesses, and with the cooperation of many other relevant organizations. That kind of muscle makes Inter BEE an important place to see trends, technology, and what’s coming next. I expect we’ll see lots of 4K/8K. Next-generation monitors, projectors and broadcast devices will be rolled out with an eye on 2020. Lots of new lighting equipment. Rigs and accessories. Audio. Lenses. Last year at Inter BEE 2014, there were 977 companies/organizations exhibiting in 1,773 booths and 37,959 visitors attended. The Makuhari Messe is about 1 hour north of Tokyo by subway, north of Tokyo Disney World, and about ½ hour from Narita Airport. It’s in a pretty location near a park on the shore of Tokyo bay, next to Chiba Marine Stadium, home of the Chiba Lotte Marines baseball team.